A family road trip is supposed to be a lot of fun...unless, of course, you're the Heffleys. The journey starts off full of promise, then quickly takes several wrong turns. Gas station bathrooms, crazed seagulls, a fender bender, and a runaway pig—not exactly Greg Heffley's idea of a good time. But even the worst road trip can turn into an adventure—and this is one the Heffleys won't soon forget. Jeff Kinney is a #1 New York Times bestselling author and four-time Nickelodeon Kids' Choice Award winner for Favorite Book. Jeff has been named one of Time magazine's 100 Most Influential People in the World. He is also the creator of Poptropica, which was named one of Time magazine's 50 Best Websites. He spent his childhood in the Washington, D.C., area and moved to New England in 1995. Jeff lives with his wife and two sons in southern Massachusetts, where he is opening a bookstore. 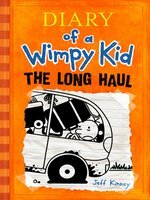 risa_i - Diary of a Wimpy Kid (The Long Haul) is about an ordinary teenager named Greg who’s just trying to enjoy summer break, which had just started. Unexpectedly, his mom planned a surprise road trip. Most of their family members were unsatisfied with what she came up with and showed a reluctant attitude, yet they still went on that trip. Throughout the trip, events that happened were unexpected, none of them actually imagined anything like it would happen on their road trip. I can somewhat understand Greg’s feelings towards the trip because I had experiences of unexpected trips and unwilling to go to the trip as well. Also, his personality is just like any other teenagers, who wants to spend summer break on activities that interests them the most. I enjoyed the parts where their family had to deal with the pig that Manny got, it was exceedingly entertaining and I actually laughed out for a few parts of it. Overall, this is an interesting novel and I’ll recommend this to readers who likes to read about teenager’s life. Could a Heffley family vacation ever be anything but a series of escalating tribulations that would test Job's resolve? 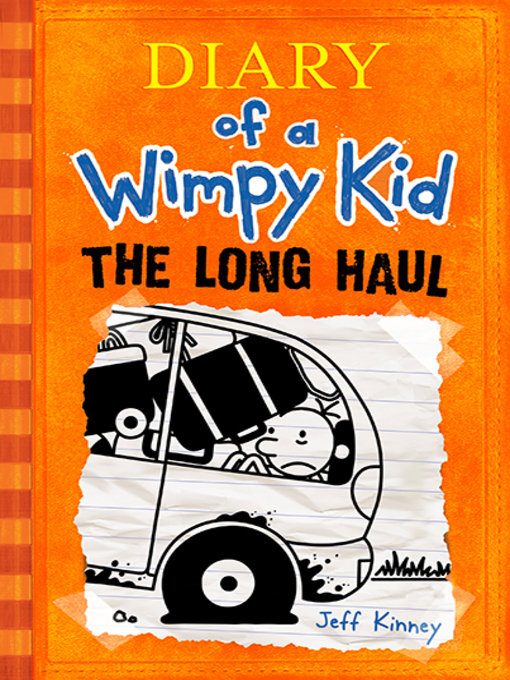 In this ninth Diary of a Wimpy Kid outing, Kinney detours from the more episodic nature of the earlier books to trace the family's doomed-from-the-start road trip, spurred by Greg's mother's subscription to Family Frolic ("There must be something wrong with our family," Greg muses, "because we can never measure up to the ones in the magazine"). Kinney maintains his knack for getting the details of family life just right (naturally, the only available lounge chair at a wildly overcrowded waterpark is the one with several broken straps). But between the inadvertent acquisition of a pet pig, an attack by a flock of seagulls, Greg getting medical attention at the vet, and baby brother Manny managing to knock the parked family car into drive, there's more out-and-out absurdity in this installment than in previous books. Readers won't care, though, and their own family vacations will look downright blissful by comparison. Ages 8â12. Agent: Sylvie Rabineau, RWSG Literary Agency. You'd think that if anyone would know better, it would be Greg Heffley's mother.But no. When she reads an article in Family Frolic magazine about wholesome family road trips, she insists on taking one right now. What ensues is the kind of totally over-the-top mayhem that the Wimpy Kid's fans have come to expect-and more. The family packs too much stuff to fit into the car, so they decide to tow Dad's utterly unseaworthy boat as extra cargo space. Mom insists on educational enrichment (learn-to-speak-Spanish CDs, lame-o car games), "real food" (brown-bag "Mommy Meals" instead of fast food) and "authentic" fun (a country fair with no rides but a guess-the-pig's-weight contest in which the prize is the pig; baby Manny wins). They spend the night in the absolute quintessence of a cruddy motel. Two slapstick driving sequences are both Hollywood-ready and extremely funny, especially in Kinney's accompanying cartoons; Greg's free-associative riff on humorless do-gooders who seek to censor such potty-humor classics as a wink-and-a-nod-disguised Captain Underpants will find an appreciative audience. By taking the Heffleys on the road, Kinney both gives himself an almost universally familiar experience to lampoon and places Greg in the rather unusual position of being almost entirely justified in his misanthropy, which is downright refreshing. Every kid-and every parent-who's ever suffered through a family road trip will feel as one with Greg. (Graphic/fiction hybrid. 8-12) COPYRIGHT(1) Kirkus Reviews, ALL RIGHTS RESERVED. Gr 5-8-When Greg's mom, who's obsessed with family time, insists on a road trip, things are bound to get interesting. With a pacifier-stealing pig, hungry seagulls, a broken-down car, and the Heffleys' luck, this family vacation turns into a disaster that ends with a day at a water park. As a result, they're stranded without any money, a long way from home. Will the Heffley family make it home? Narrator Ramon de Ocampo animates Kinney's book. His intonations easily bring the author's unique, realistic characters to life. His fast-paced, entertaining narrative style is ideal for Greg's story and will have the whole family laughing out loud. Don't miss this selection. VERDICT Great for reluctant readers, this latest "Diary of a Wimpy Kid" audiobook is a must-have for every library collection.-"Jessica Moody, Olympus Jr. High, Holladay, UT"